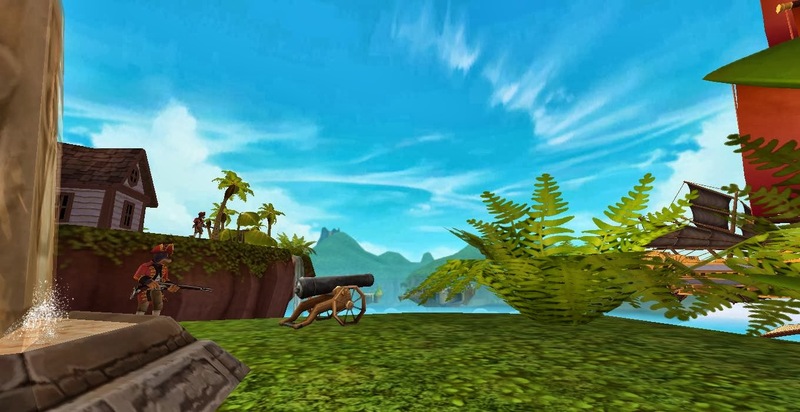 Create your favorite aspect of Pirate101 using any form of art. No graphics! Write 1 or 2 sentences about your project. 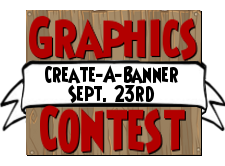 Please include your pirate's name in the email and Art Contest in the subject. All entries must be received by October 3rd at 9am EST. If you are under 13 years old, please get your parent/guardian's permission before entering. 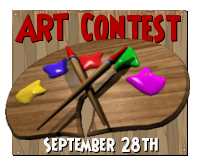 I know that art takes some time to create, so I am giving you guys a few days for this contest. I can't wait to see what you come up with! 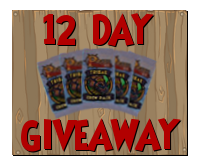 One lucky winner will receive a $10.00 Pirate101 gift card. The winner will be announced sometime during the day on October 3rd and will be posted at the bottom of this page. Good luck to everyone who enters! I think that is my favorite part of Pirate101, the variety of weapons and gear just makes it so much more interesting! I love it when I'm finally able to get that certain weapon that makes my pirating life easier and more enjoyable. 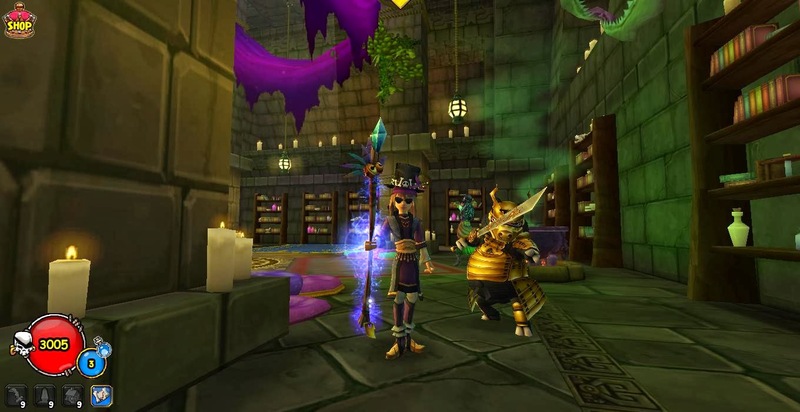 I drew my favorite class in Pirate101, the witchdoctor. 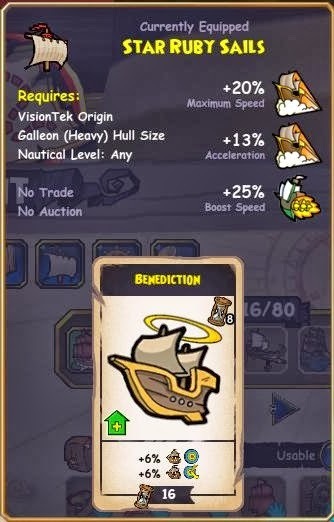 It's a spooky, spectacular and magical class out of all the classes a pirate can choose from. Specifically Kan Po is only available for witchdoctors. 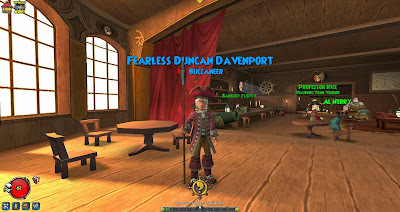 I admire him, especially his awesome name. 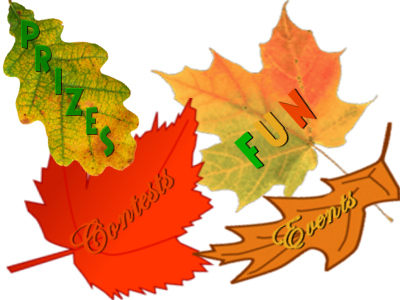 Today brings us to the halfway point of the 12 Days of Autumn Celebration! It's going by fast! I hope everyone has been having a good time with it. I have been having fun at all the events and reading all of the amazing contest entries so far! Anyway, today I will be having a trivia contest. 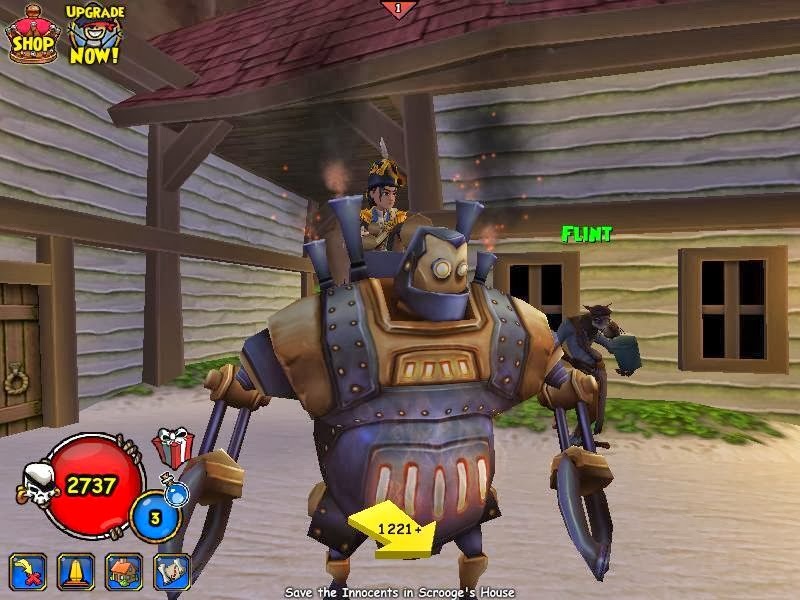 Below you will find 12 Pirate101 trivia questions. All you have to do is answer all 12 correctly and email your answers to secretsofthespiral@hotmail.com by 9am EST September 28th (tomorrow). 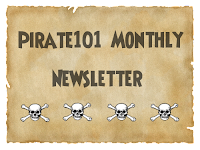 Please include your Pirate's name in the email and Trivia Contest in the subject line. *NOTE* If you are under 13 years old, please get a parent/guardian's permission before entering. Everyone who answers all 12 questions correctly AND follows the other guidelines will be entered into a drawing/raffle. 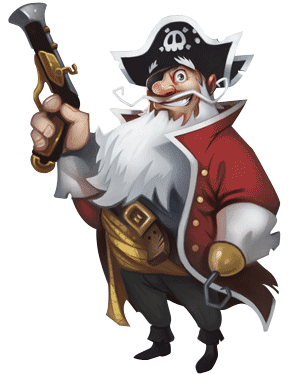 One person will receive an Admiral Bundle. The winner will be announced tomorrow sometime before 1pm EST. Both the winner and the answers will be posted at the bottom of this post. 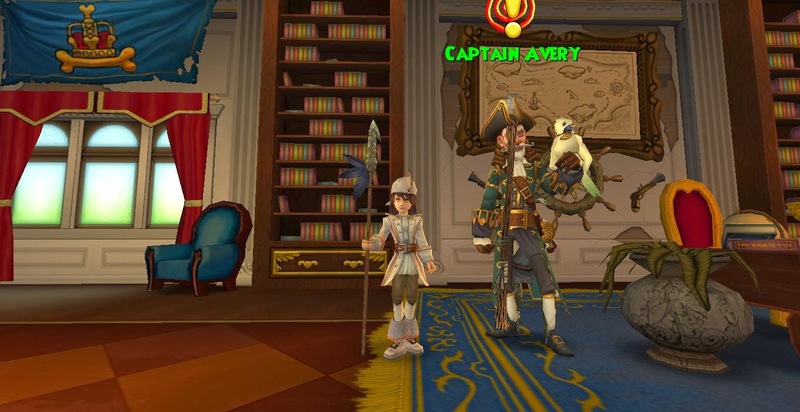 How many realms are there in Pirate101? 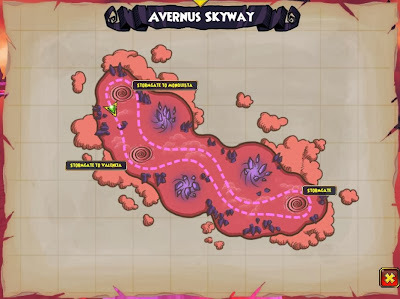 How many skyways in the game? 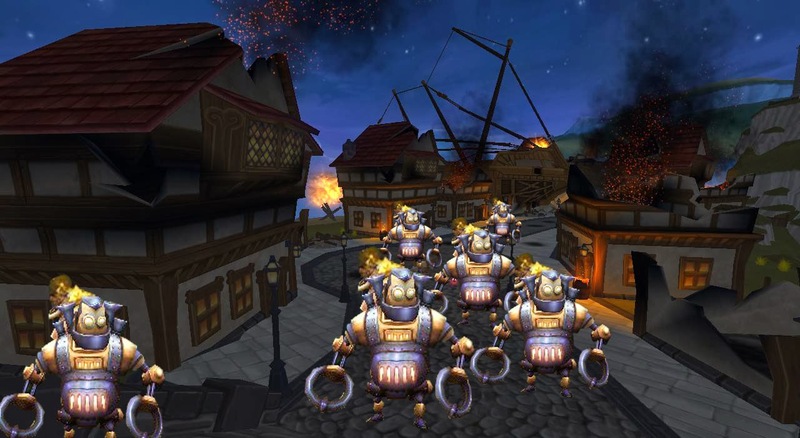 How many stormgates are in the Avernus Skyway? 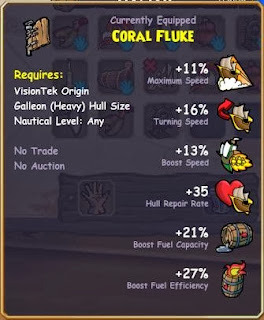 How many crown shop pets can you also get as drops from bosses? What name does Apollo mention when you speak to him? 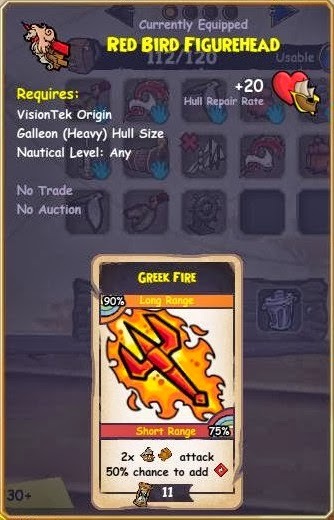 What is the origin of the Aquilan Ships? What is Madam Vadima holding? 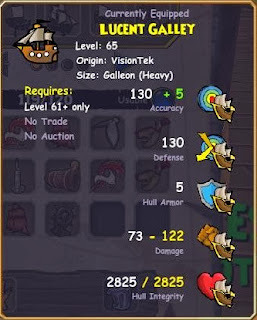 Which world does not have a ship vendor? When was companion "benching" added to the game? When was the first Pirate101 commercial released? How many Watermoles are on Rapa Nui? 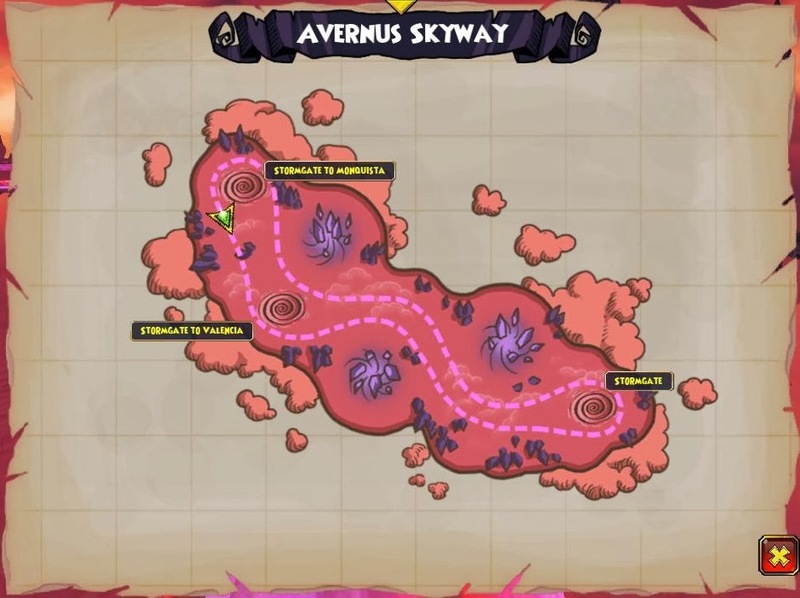 How many skyways in the game? This question was kind of controversial. I accepted any answer from 19-21, since there are 2 areas that could be considered skyways, but some people don't. Here is a list of skyways: Skull Island, Flotsam, Tradewinds, Port Regal, Tierra Primata, Avernus, Aragon, Cooper's Roost, Arroyo Grande, Santo Pollo, Big Sky, Tumbleweed, Haunted, Hamamitsu, Khotan, Subata, Westminster, Achaean Way, and Ithaca. 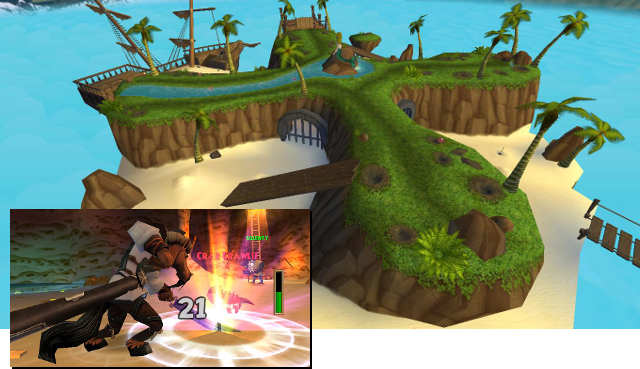 The 2 more controversial areas are Corsair's Cove and The Passage. 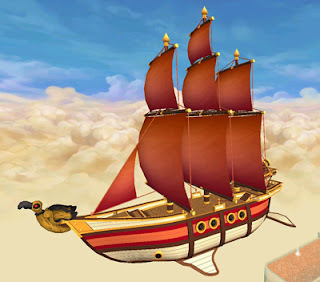 For day #5 of the 12 Days of Autumn celebration, let's get together and show off all our awesome pirate ships! 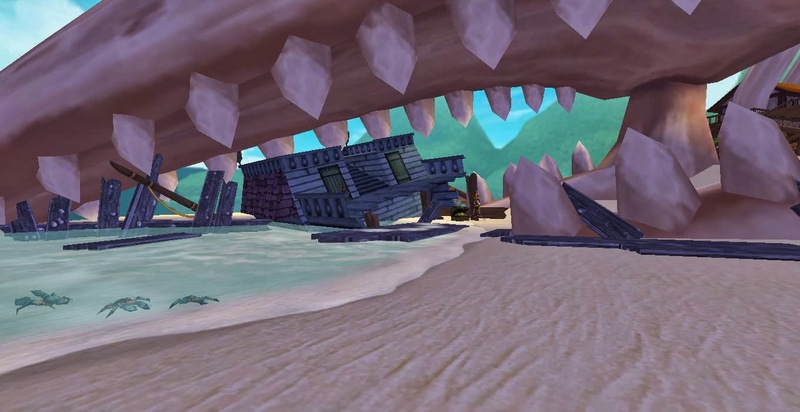 We will be sailing through the skyways of Skull Island as a group. 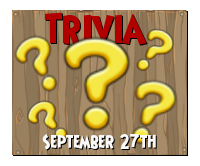 Throughout the event I will be awarding prizes for correctly answered trivia questions. One person will also will a prize for having the best pirate flag! 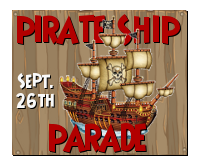 Even if you don't have a ship yet, you can hitch a ride with me or a friend! Everyone is welcome to come, so tell your friends! You can see the details below. We have made it to Day #4 of 12 Days of Autumn! I hope everyone is enjoying all of the events and contests so far! Today I have another contest for you guys. This type of contest is my favorite type to judge! What is it you ask? It's a Photo Caption contest! 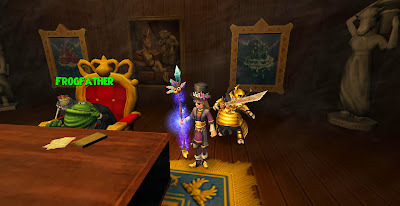 At the bottom of this page, there is a Pirate101 picture. 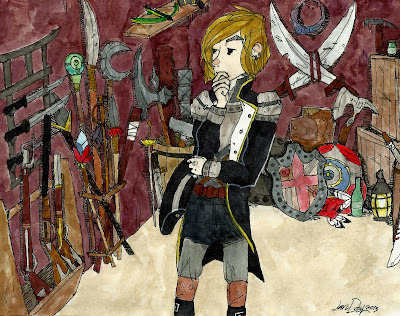 All you have to do is think of a caption for it and send it to secretsofthespiral@hotmail.com. 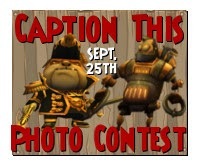 Make sure to include your pirate's name in the email and put Caption Contest in the subject line. That's it! The first place winner will receive a code for an Admiral's Bundle, one 2nd place winner will receive a code for a $10 Pirate101 gift card, and one 3rd place winner will receive a Li'l Labor Golem Pet. "I am the world famous El Toro!" "I think you are a little "short" on henchmen, were they having a 'half-off' sale?" El Toro: Hide and seek time!! I'll count, you guys hide. Ready, set, go! Welcome to Day #3 of the 12 Days of Autumn celebration! Today I have another event scheduled. 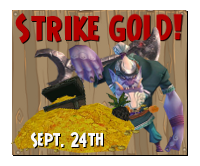 All pirates love and need gold, so why not come out and strike it rich? 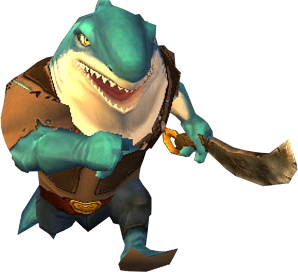 I will be farming Friar Sand this evening, and I hope to get max gold. Will you be there to help me? 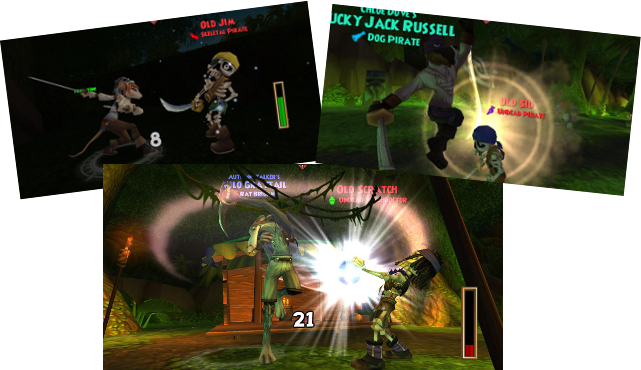 More people means more treasure from each battle. 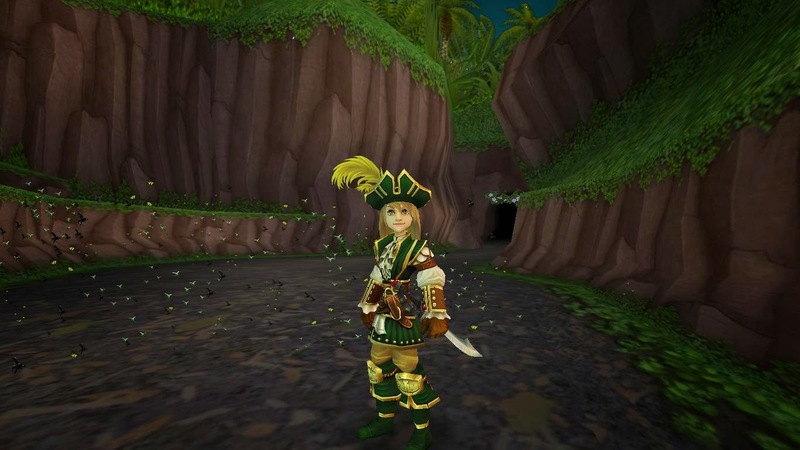 And remember, in addition to gold, we have a chance at getting pets and some great gear as well! I hope to see you there! Today is the day I have been planning for months.....Day #1 of the 12 Days of Autumn celebration! 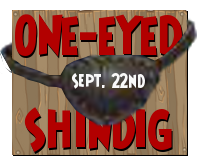 Help kick it off tonight by joining me for The One'Eye Shindig! Put on your eye patch (if you have one) and come to a huge party in Skull Island. Everyone is invited, so be sure to tell your friends! Not only will there be lots of people to mingle with (hopefully) but there will be PvP, trivia, and even a fashion contest! You can see the details below. Anyway, I hope this event will be fun for everyone! All I ask is that you please be respectful of other people and please keep all language G rated. I hope to see you all there! As ye may have heard, today is Talk Like a Pirate Day! 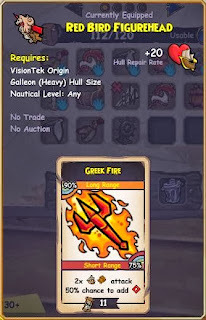 And of course Pirate101 is celebrating in several ways. Click here to see the full details! 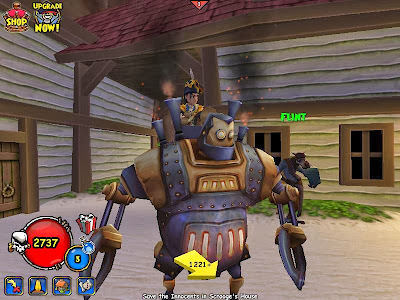 And last, but not least: Be sure to log on and check out the awesome sales in the Crown Shop! Send an email to secretsofthespiral@hotmail.com by September 30th at 12:00pm (noon) Eastern. 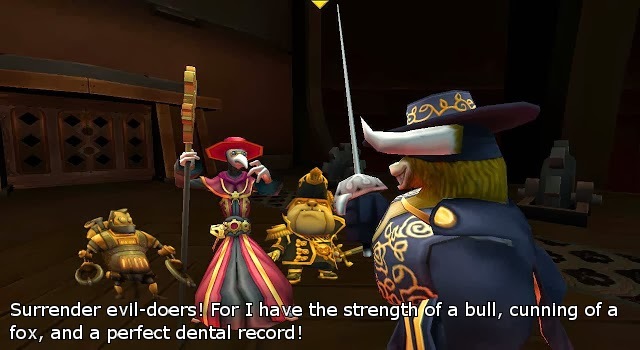 Please include your pirate's name and one kid-friendly pirate themed joke. Also put "Joke Contest" in the email's subject line. Please DO NOT include any personal information or inappropriate language or you will not be entered. 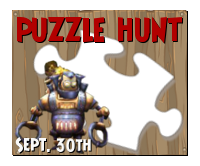 The winners will be announced late in the day on September 30th. Good luck to everyone who enters! Do you think that the community is awesome Come join me and Sheldon from Adventures of the Spiral for Part 2 of Sink101 and help us celebrate the community's awesomeness! Our goal is to sink at least 101 ships, but we may end up defeating more than that. 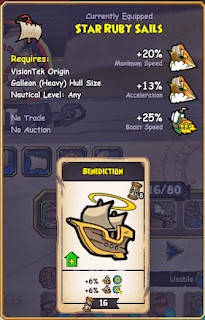 We should be getting tons of NXP, gold and awesome drops! So come on out and help make Sink101 part 2 twice as awesome as the other one! Hope to see you there! Who: Look for Autumn Walker, level 2 and add her! As some of you may have heard, I have released the schedule of events for the 12 Days of Autumn Celebration. If you would like to see it, you can view it here. 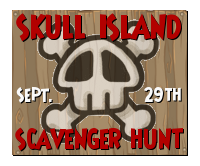 Anyway, I am looking for some volunteers to help with the Skull Island Scavenger Hunt. I am hoping this event will be a lot of fun and unique, but I need some help to make it that way. If you are interested, please read the requirements/guidelines below very carefully and then you can complete the form. I will be contacting the volunteers a few days before the event with all the details. Available Sunday, September 29, 2013 from 5:30pm eastern until 7:00pm eastern. The ending time may vary, but I'm not expecting the event to last more than an hour. It may be much less than that. Able to be online uninterrupted, as you will need to give out your clue whenever someone finds you. This means you will have to be paying attention at all times. Have room on your account to make a new pirate and level it to level 2. Please do not add anyone to your friends list before the event. 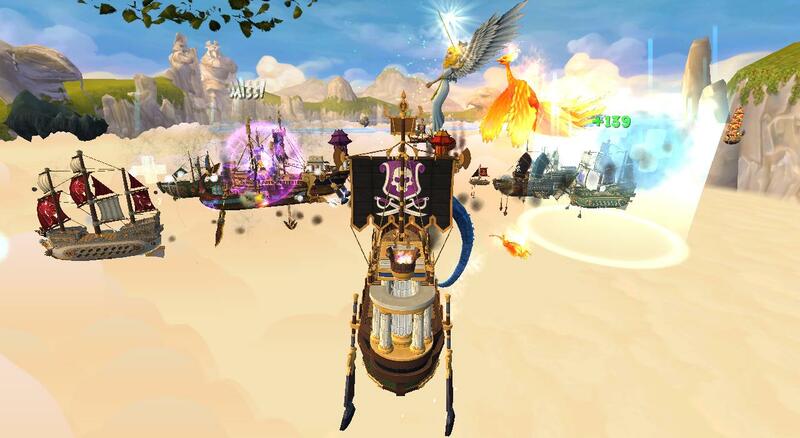 Have access to the whole world of Skull Island, either through membership or crowns. Have either text chat or open chat, since you will be giving out clues to people. Be able to interact with other people in a nice/polite/family friendly manner. 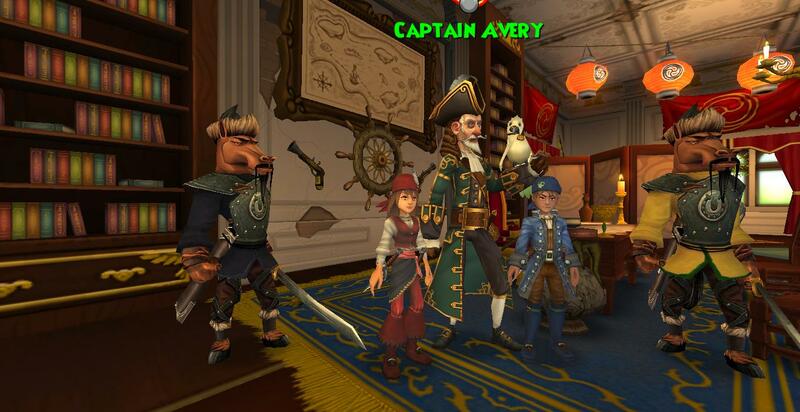 Yesterday Pirate101 released their September 2013 newsletter. Lots happened during the month of August, with four weeks of the Arrrgust celebrations and the release of henchmen! The newsletter hints at more to come later in the year. I wonder what surprises they have in store for us! Also in the newsletter, you can see the newest Rogue's Gallery featuring Sarah Steele. 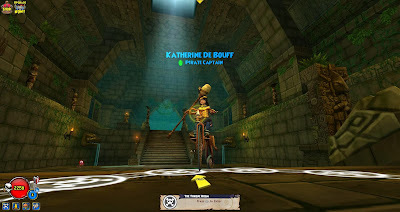 And definitely make sure to check out the Vadima's Visions section about creating a pirate name! I thought that part was really cool. 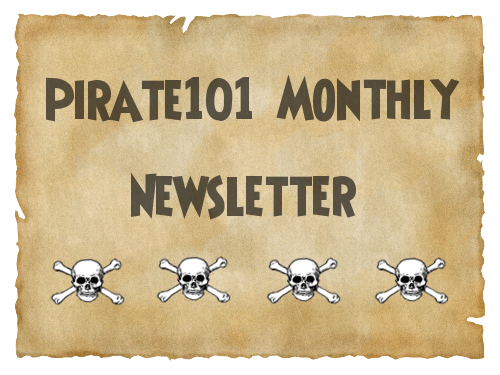 Click here to check out the full newsletter, including tons of cool things from the fansites.